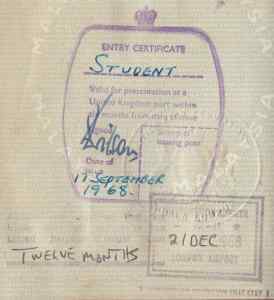 A student in the United Kingdom. At one time was given indefinite leave to stay. 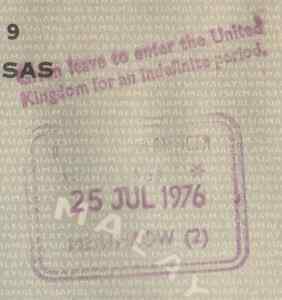 There was a receipt found tucked between front cover and page 1 for payment for his new passport issued in 1978 to replace the current expired passport. Israel was added on 14 June 1968.